Boston Market began as Boston Chicken, a single store owned by founder Arthur Cores in Newtonville, Massachusetts. There, people would line up around the block to order the succulent, juicy, and tender, slow-roasted chickens that Cores and his partner Steve Kolow quickly became famous for. Before long, with such delicious products and low Boston market menu prices, the two men were opening more and more locations, and the chain began to grow. Today there are over 450 Boston Market locations all over the United States, and they serve up a lot more than just chicken. The Boston Market menu includes slow-roasted turkey, beef, and meatloaf, along with delicious sides like freshly steamed vegetables and creamy mashed potatoes. 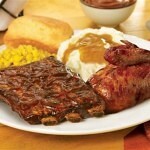 Everything on the Boston Market menu is created to give you the taste and satisfaction of a full, home-cooked meal. Even when you don’t have the time to cook your own comfort food, with low Boston Market prices and their delicious menu options, you can still eat an amazing meal that will make your mouth water just like your mom’s home-cooking. Plus, you can order from the Boston Market family menu at prices that will blow you away, too. 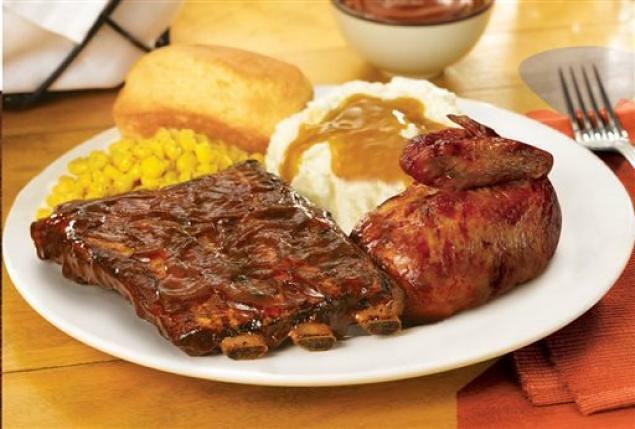 The family meal for three includes rotisserie chicken, fresh roasted turkey, home-style meatloaf, or St. Louis-style BBQ ribs, along with three servings of cornbread and three home-style sides, too. Feeding more people? The Boston Market family menu includes options for up to six people, or you can look at their catering menu and get Boston Market delivery to your next work, social, or family function. In fact, you don’t even have to plan ahead. You can get Boston Market’s delivery or pick-up the same day you order it. So, if you need to feed a lot of people, and you want quality food at a low price in a hurry, Boston Market has you covered. But you don’t have to order for the whole family or a whole convention, either. Boston Market menu prices include individual meals, including sandwiches, soups and salad bowls, home-style sides, and desserts, too. Cores and Kolow started their business in 1985 with the intention to serve people delicious home-style meals on a budget, and Boston Market continues to do that across the United States 30 years later. Take a look at the full list of Boston Market Menu prices below, and tell us what you think of this classic restaurant and catering chain.